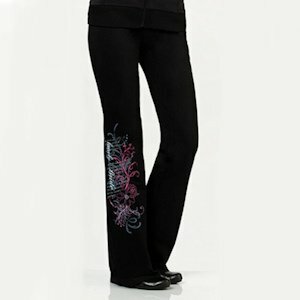 SHARE She may not be wearing her gown, but she's still very much the bride in these cotton lounge pants available in pink or black. 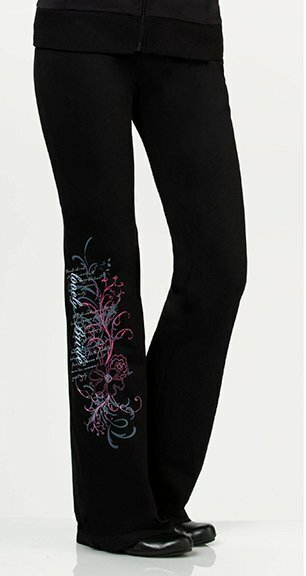 The right leg is silk-screened in grey with the sweet thoughts "blessed, cherish, devotion, dreams, faith, spirit and unity" amidst pretty scrollwork with details highlighted in hot pink. The main focus is on the larger phrase "Lovely Bride". It's a perfect match for our Bride Jacket.